It's that time!!!! 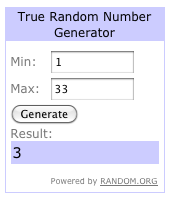 Time to announce the WINNER from my blog!!!! Who could it be? First off I must say a huge THANK YOU to everyone who took time to visit me and leave some love. I must admit that I'm always shocked when someone comments on one of my cards. Congrats Tamara!!! Thanks for visiting my blog and leaving a comment. Please email Deedee at deedeesdigis@gmail.com with the name of the set you would like and she will send it directly to you. Thank you again to everyone who stopped by. Please feel free to come by anytime!!! God bless you today and may He pour out His love to you today!! !